A former Russellville High School exchange student from one of the world’s poorest countries is now in medical school, preparing to improve the lives of people in his home community and country. Gebie Michael Gebremeskel Zeratiqnt spent the 2007-08 school year as a student at RHS. He lived with Rusty and Raye Ann Clark and their then-teenage children, Trevor and Molly. They have maintained a friendship with him ever since. Known simply as ‘Michael’ to Russellvillians, he is from the Northern Ethiopia community of Abbi Addi but attended high school in Mekeld, Ethiopia. 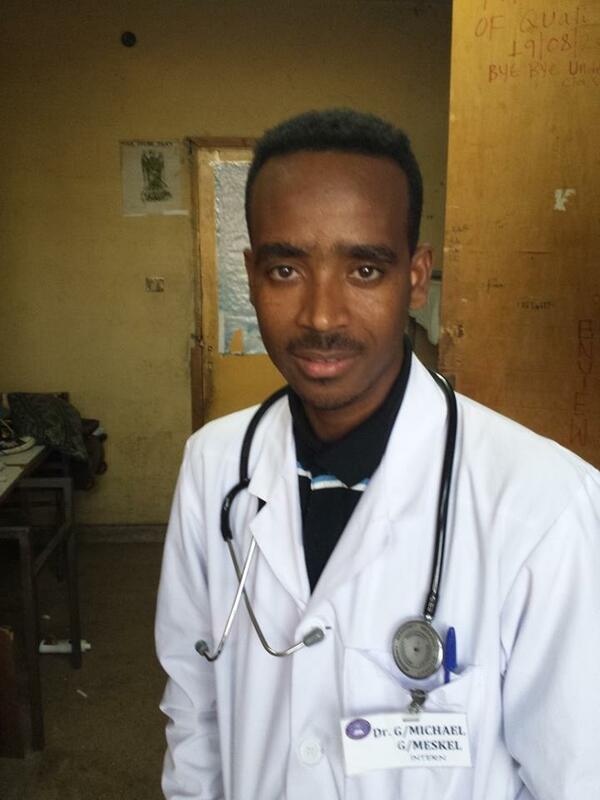 Now he is in medical school in Abi Abi, Ethiopia, doing his internship at five different hospitals in the Addis Abba area. When he came to Russellville, he repeated his junior year in high school, not for credit but to increase his learning. He was near the top of his class at RHS academically. 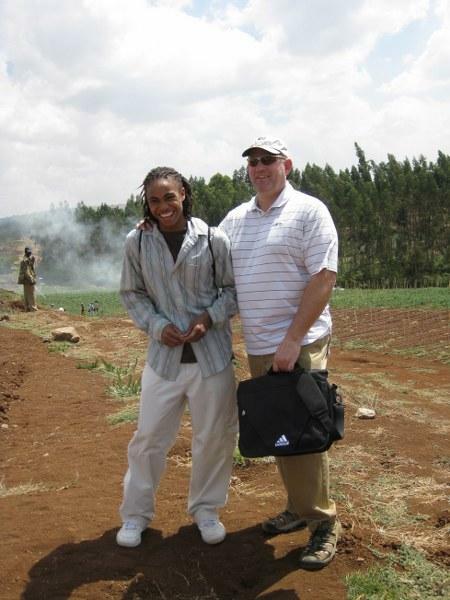 His goal was not to stay in the United States but to return to Ethiopia to help his family and his countrymen. He’s on his way to doing that. 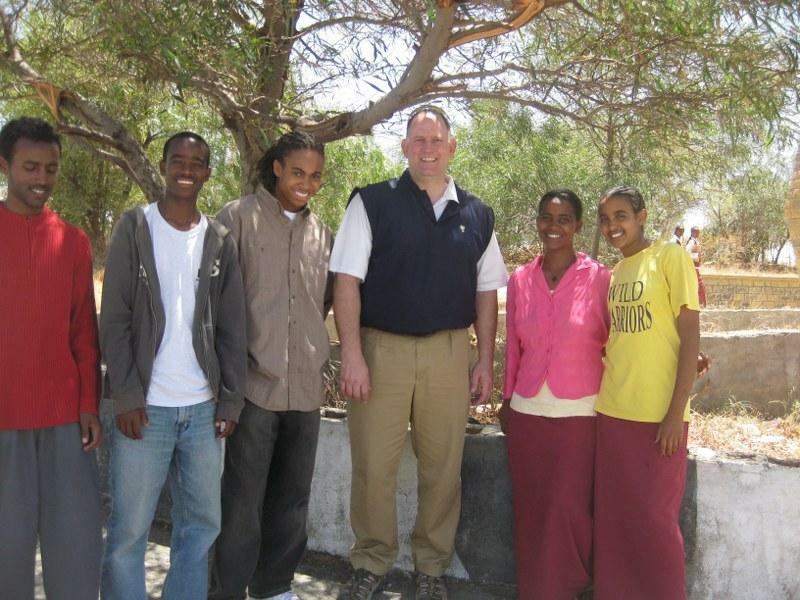 Before Michael came to Russellville, Rusty and Raye Ann had visited Ethiopia, helping find youngsters who would benefit from spending time in America. Rusty Clark is president of First Southern National Bank. He carried out his work from Russellville until Trevor and Molly finished high school. Now Trevor is married and all of the Clarks but Molly live in central Kentucky where the bank’s corporate office is located. Molly remains a Logan Countian. FSNB is involved in charitable international projects. First Southern National Bank’s Riverfoundation has been set up to provide financial assistance for Christian causes. Among the foundation's projects are Leadership Ethiopia and the Orphan Christian Education program in Uganda. Many children are orphans because they've lost both of their parents to AIDS or the remaining parent has AIDS, Clark said. "We wanted to visit some of these places to make sure that our money is being used for the purposes it is supposed to." In 2009, he told The LoJo that about half of the 2,000 residents have AIDS. They need bright young doctors like Michael.